Maggie Brown and Grace Newell won a Gold (1st in the state!) in there “Focus on Children” project for their presentation on the importance of ASL. These two made it Nationals in Anaheim, CA on June 29-July 5, 2019! Kaitlin D’Souza received a Silver in “Job Interview” project where she created a portfolio and completed a job interview. 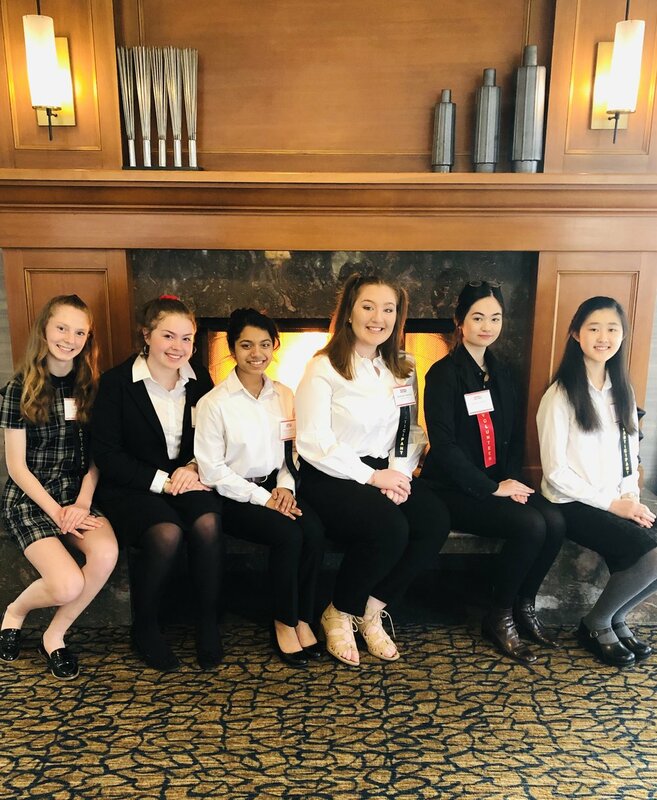 Priya Joshi and Erin Tylutki won a Silver for their project “Promote and Publicize” where they worked on getting the word out and increasing IHS FCCLA chapter membership this school year. Julia Park won a Gold (got third in the state!) for her “Illustrated Talk” presentation about the importance of getting young children interested in reading and literacy. Simone Morris, went as a student evaluator and was help to see lots of various projects and helped run the STAR event competition.